Returning User? Click Here to Login To Your Application. Forgot Application User Name or Password? Bachelor’s degree from an accredited college or university and a minimum of 3 years experience. Minimum of six years of experience. Applying as an Intern to take the examination. Currently Certified and wish to retake the examination to fulfill my current recertification requirement. In order to complete the application process, which requires two recommendation forms and college transcripts if less than six years of experience, we provide you the ability to create an account to come back and complete all steps of application process. All Contents Copyright © 1997-2019. 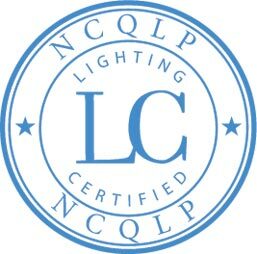 National Council on Qualifications for the Lighting Professions (NCQLP). All rights reserved. The contents of all material available on this Internet site are copyrighted by the National Council on Qualifications for the Lighting Professions unless otherwise indicated. Copyright is not claimed as to any part of an original work prepared by a U.S. or state government offficer or employee as part of that person's official duties. Interested individuals may download pages or other content for their own use, consistent with the mission and purpose of NCQLP. However, no part of such content may be otherwise or subsequently reproduced, downloaded, disseminated, published, or transferred, in any form or by any means, except with the prior written permission of, and with express attribution, the NCQLP.